Briman Strategic Reservoirs currently hold the official Guinness record for the largest internally post tensioned circular concrete potable water storage reservoirs in the world. Atkins designed the water reservoirs, which are 120 metres in diameter and 18 metres in height. 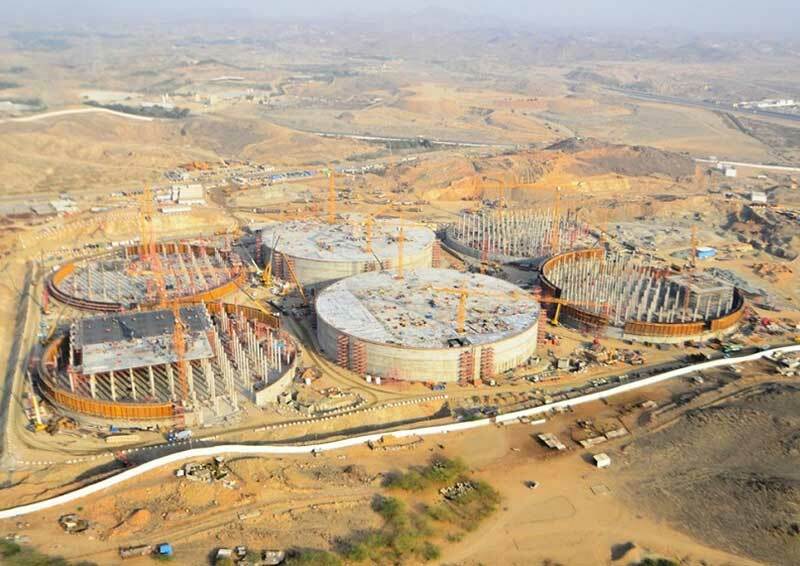 The strategically important project in the Kingdom of Saudi Arabia was the first phase of a programme of work commissioned by the National Water Company to provide a water storage capacity of six million cubic metres. The project was delivered by a consortium comprising of Al Muhaidab and Vinci with WS Atkins International Ltd as sole consultancy service provider. Working in partnership with the National Water Company, the consortium developed a solution which minimised land usage at the existing Briman reservoir site, allowing future development. Atkins developed a 3D model, including all above and below ground elements, which was then packaged into Atkins' augmented reality software and shared with construction partner NWC to provide a real understanding of the project. The Atkins Belfast office was responsible for managing the delivery of the project, including most of the civil design, working in collaboration with a number of Atkins offices worldwide which provided the various specialist support services for the scheme.